Thread: Alibaba and kangaroo essence. With the recent publicity Alibaba have received thought I would check out the site. This was one of the first things that came up, guess it fits in nicely with tiger extract and bear bile. I note with interest that each capsule contains the equivalent of 6 grams of roo meat. Very strange site, unusual products to say the least. Kangaroo powder is a concentrated natural product rich in nutrients derived from Australian Kangaroo meat and processed into concentrated powder. Kangaroo powder contains high amounts of iron, amino acids and minerals – these vital elements may assist to increase physical strength and enhance performance. 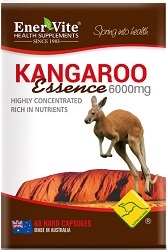 Kangaroo Essences Equivalent to Kangaroo Meat 6000mg, Gelatin, Carob, Purified Water. Capsule shell food colour (E124, E171, E102, E123), Capsule shell sodium lauryl sulfate, Capsule shell PEG 6000. Maybe you could dose it up to 9g and run it through a single basket? Magic_Matt, magnafunk and GunBarista like this. Perhaps if you grind a little finer you would have a roostretto. Dimal, magnafunk and GunBarista like this. I was expecting this topic to go in a different direction. Kopi rooak anyone? Magic_Matt and GunBarista like this. Now look what you've started ! Skippeeeee, Skippeee, Skippy the powdered kangaroo. Skippeeee, Skippy, have him on your lunch and barbeque. 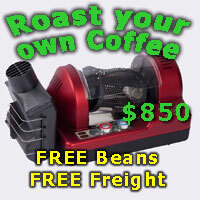 Marketing might pay you a fee for that Noonar..........enough to cover a fancy new coffee machine perhaps?